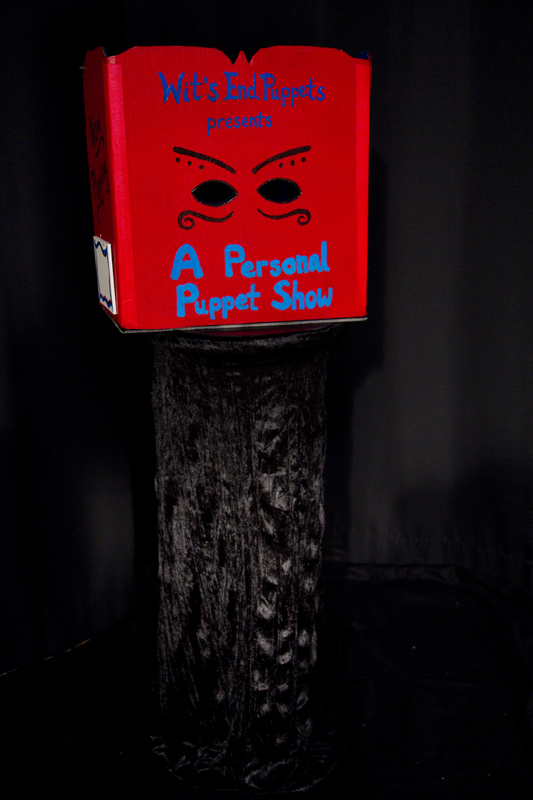 The Personal Puppet Show is a variation on the caja lambe-lambe style of puppetry from Brazil. 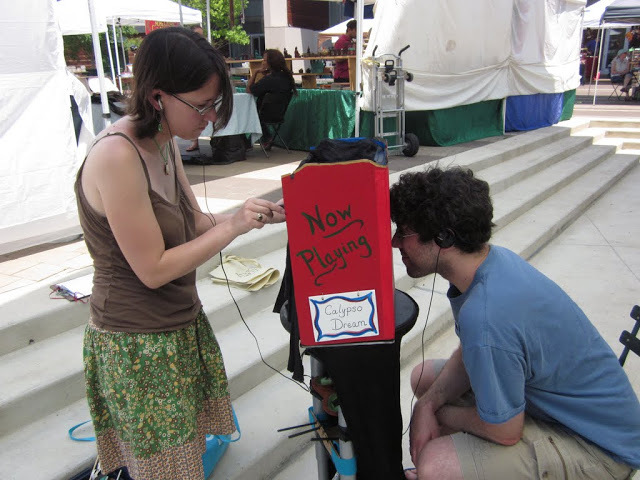 It is meant for one viewer at a time, who looks through the eye holes to see the show and wears headphones to hear the music that goes along with the song or story. This piece has been performed at craft fairs and farmers markets and has been a hit with viewers both young and old. If you would like us to bring the Personal Puppet Show to your neighborhood or event, please email info@witsendpuppets.com. Performing at the Fenton Street Market in Silver Spring.